Digestion - Promotes healthy digestive function. Immunity - Supports a healthy immune system. 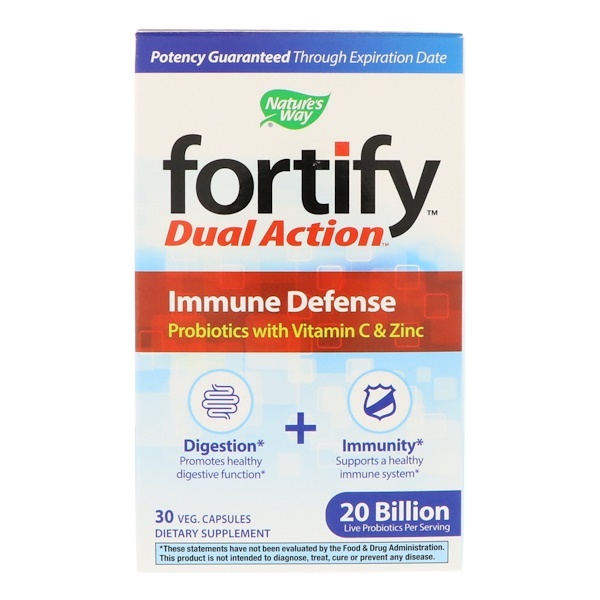 The combination of Vitamin C, Zinc and probiotics support your immune defenses throughout the entire year. Zinc is an essential trace element that supports healthy immune function. 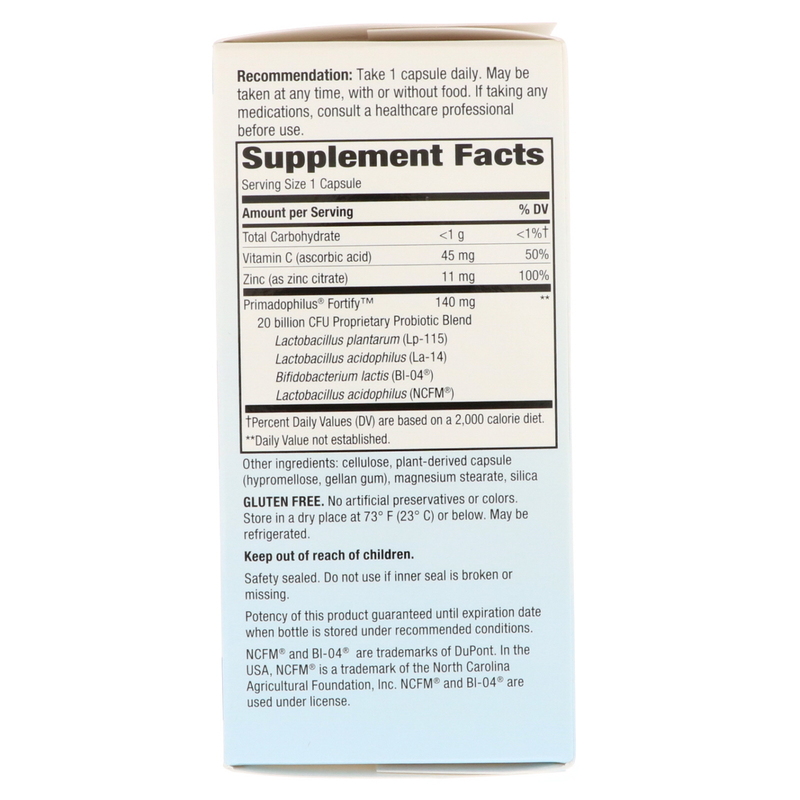 With 100% of the recommended daily value of Zinc, this formula provides daily support for your immune system. 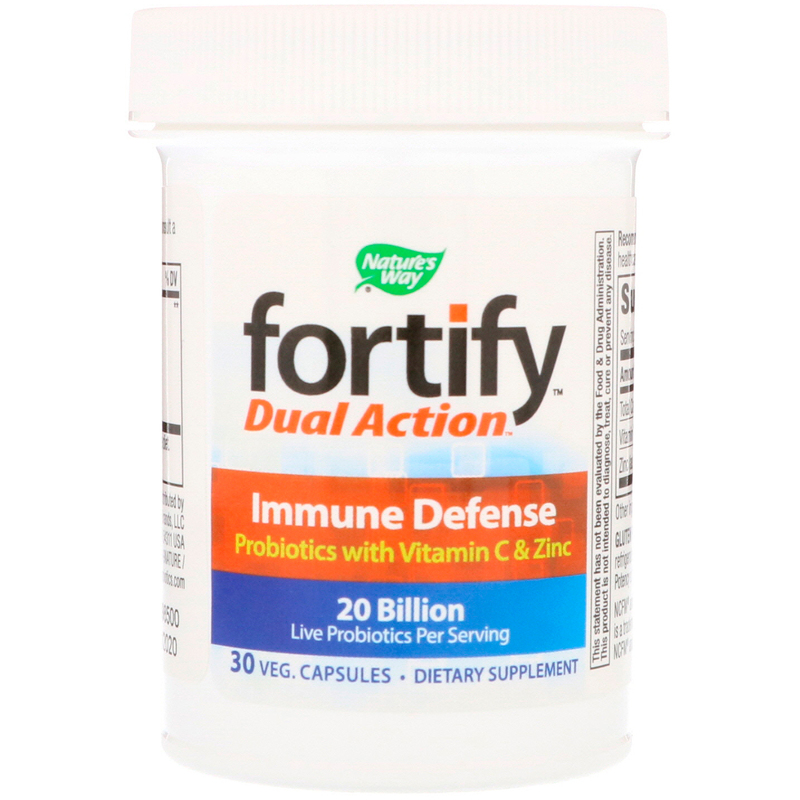 The Dual Action Immune Defense formula contains Lactobacilli & Bifidobacteria to support overall digestive and immune health, giving you a great foundation for your busy day. 20 Billion Active Cultures, Guaranteed! Fortify guarantees each serving will deliver 20 billion live cultures up to the date of expiration. Each capsule is resistant to the harmful effects of stomach acid, and distributes live cultures to the proper area of the small intestine and colon, right where they're needed most. Recommendation: Take 1 capsule daily. May be taken at anytime, with or without food. Cellulose, plant-derived capsule (hypromellose, gellan gum), magnesium stearate, silica. No artificial preservatives or colors. Store in a dry place at 73°F (23°C) or below. May be refrigerated. Safety sealed. Do not use if inner seal is broken or missing.